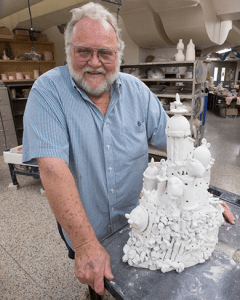 Bill Clover passed away in May of this year, but the beloved Pensacola State College visual arts professor will still impact the lives of future students. The Bill Clover Memorial Auction will be held at 6 p.m. Thursday, Oct. 25, in the Charles W. Lamar Studio on the Pensacola campus. Funds from the auction will go toward the establishment of the Bill Clover Endowed Scholarship. Known for his ceramic pottery, Clover worked at Pensacola State from 1966 until his death on May 7. He was the institution’s longest-serving faculty member ─ having spent nearly 52 years at the College. In addition to pottery thrown by Clover, the live auction and silent auction will consist of donated original works from local and national artists like Michael Boles, the late Carl Duke, Mark Alan Francis, Krist Lien, Jimmy Rhea, Vivian Spencer, Yoko Tittel and Susan Voss to name only a few. 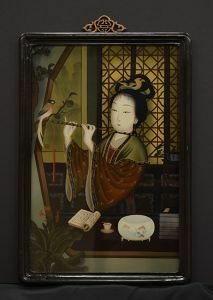 More than 150 pieces of artwork including 80 pieces by Clover, 40 paintings from the (Carl) Duke estate, several Murano glass items, and more will be available to the highest bidder. 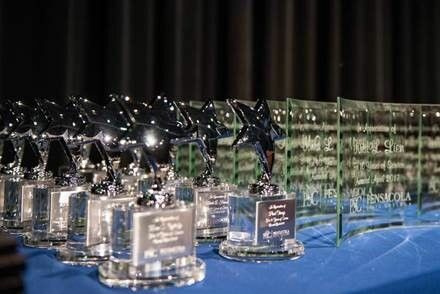 Andrea Krieger, executive director of the PSC Foundation, said the goal is to raise at least $50,000 at the auction to establish the Bill Clover Endowed Scholarship fund and name the College’s pottery studio in his honor. So far, $8,000 has been placed to the endowment. Interested buyers must attend the actual auction in order to bid on the premium items which will be on display on Oct. 25 and can be viewed at CloverAuction.org. The auction also will include items that appeal to every collector’s taste and budget. 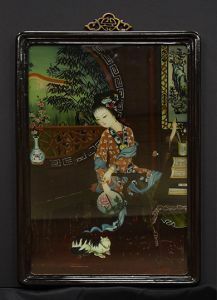 Some rare objects such as two Chinese reverse glass paintings valued at $4,000, and an original copy of James A. Michener’s “The Modern Japanese Print: An Appreciation” valued at $6,900 are among the offerings. Duke, the former head of Pensacola State’s visual arts department, hired Clover in 1966 and the two became lifelong friends. Throughout their lives, the two men often exchanged and gifted each other pieces of art. A Los Angeles native, Clover also volunteered at Manna Food Pantries for more than a decade – helping the charity raise nearly $300,000 during Pick A Bowl, Fill A Bowl fundraisers. In 2014, he received the U.S. President’s Volunteer Service Award for contributing 7,000-plus hours of service to Manna. He also was recognized for his work in creating more than 6,500 handcrafted bowl for the fundraisers. Clover is survived by his wife, Kathleen; daughters, Kristen and Christi; and one granddaughter, Katie. Individuals who wish to make a donation to honor Clover are invited to attend the Clover Memorial Auction on Oct. 25 and can call 850-484-1560 for details.